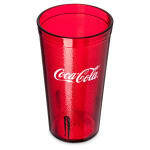 The Carlisle 52163550D tumbler can hold up to 16 ounces of virtually any cold beverage. It is designed with tapered sides to facilitate stacking and interior stacking lugs to prevent jamming, making this drinking glass easy to store. Made with SAN plastic, this durable tumbler resists staining, breaking, and chipping, and has a texture exterior that makes wear and tear difficult to see. 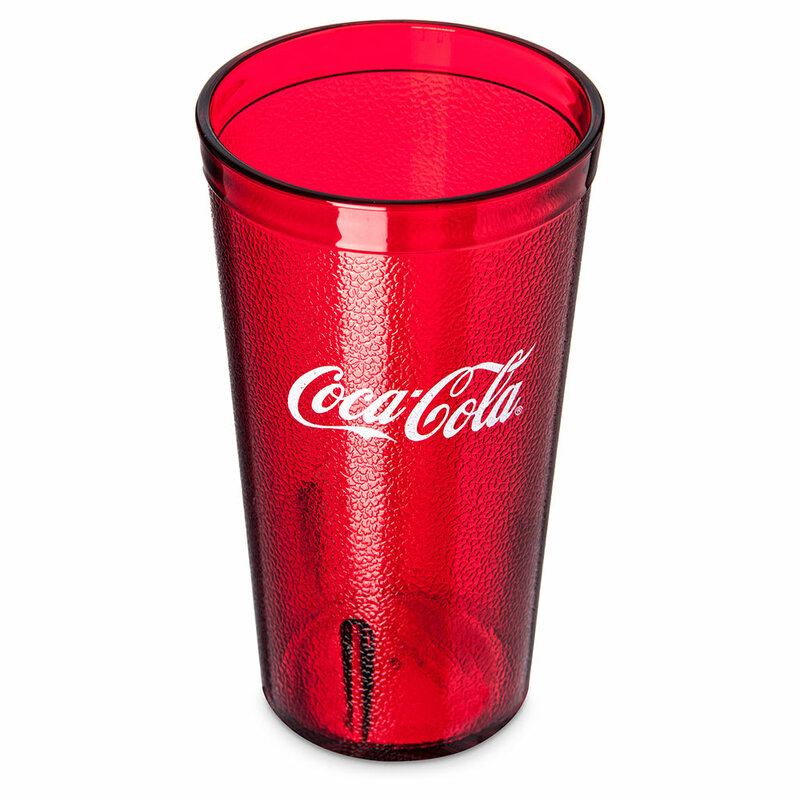 With the Coca-Cola logo emblazoned on one side, this red tumbler is perfect for restaurants, diners, and cafeterias that serve Coke products and want to add a pop of color to their tabletops. To keep up with your high demand, this Carlisle tumbler can be cleaned and sanitized in your commercial dishwasher. Overall Dimensions: 5.45 in. H x 3.28 top dia. x 2.36 bottom dia.